This could be an excellent book – lyrics and reproductions of previously unpublished pages of Ian Curtis’s notebooks. 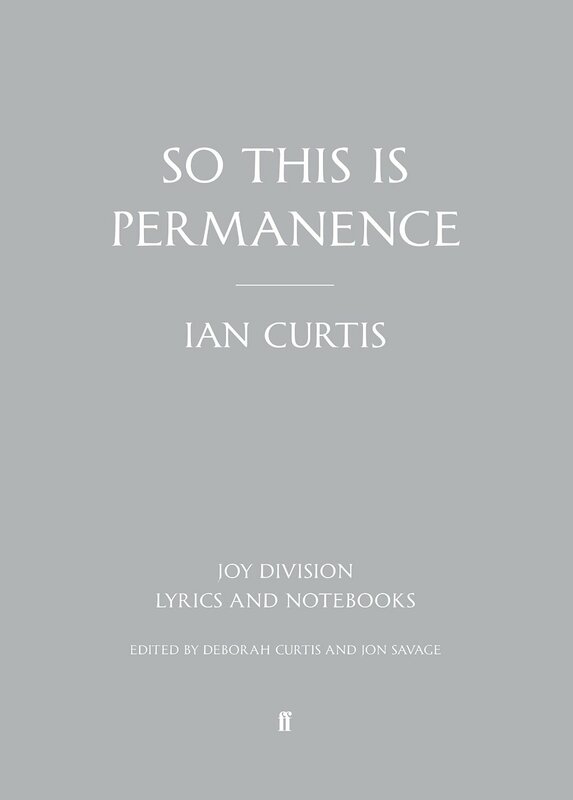 “Edited by Jon Savage and with a foreword by Deborah Curtis, So This Is Permanence presents the intensely personal writings of one of the most enigmatic and influential songwriters and performers of the late twentieth century, Joy Division’s Ian Curtis. A standard and limited edition version of So This Is Permanence will be released in the U.K. on October 2nd. The limited edition version includes a paper envelope containing a high-quality print reproduction of “She’s Lost Control” lyrics and is signed by Deborah Curtis, Peter Hook, Stephen Morris, Jon Savage and Bernard Sumner. Only 200 copies of the limited edition version are available, so those interested are strongly encouraged to pre-order now through Faber & Faber. The standard edition of book will be released in North America on November 4th and is available to pre-order now through Amazon. via Ian Curtis’ personal writings to be published ~ …hang the dj.